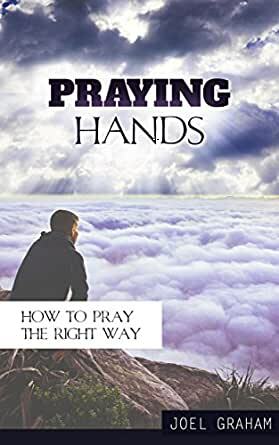 Praying Hands: How to Pray the Right Way (Prayer, Praying, How to pray Book 1) - Kindle edition by Joel Graham, Prayer. Religion & Spirituality Kindle eBooks @ Amazon.com. Do You Find It Difficult to Find the Right Words When Praying? Do You Want to Connect Deeper with Your Faith? This book will show you the true purpose of prayer. It is created to show you exactly how to pray and how praying can help you improve your life. It is based on what the Bible says about prayer and you will find several scriptures quoted throughout the book to explain how and when we should pray. This is a great prayer book for anyone! Don't wait any longer, scroll up and buy this book today! Loved this book,really easy to understand how important God& prayer is in our everyday life.I will read this over and over. Wonderful start for encouraging the enquiring spirit on prayer. It is also a reminder for believers of why we pray and to whom we seek help from. A wonderful journey! it was very helpful on how to pray . This is a wonderful book. I recommend reading this book if you have trouble praying or even if you don't. It clears up a lot of misconceptions. Very inspirational book. Lots of scriptures to show that prayer is necessary. I would recomend it to any one who is struggling with prayer as I am right now. It is an okay-ish book. I do think that some of you will find it refreshing and it will in fact does encourage you to pray with confidence. But if you truly have faith, you wouldn't need a book to help you pray. 5.0 out of 5 starsHelps with focus while praying. Interesting ideas. Very interesting read and it will help you keep focused when praying. Although designed as a guidance book, it also encourages you to become a more spiritual person, which is what I was after. Would definitely recommend. 5.0 out of 5 starsWell researched and well written. I was sceptical about this book at first, but after giving it a go, I do think it's a well researched and well written book. The information is written in a way that it does not force an opinion on you, but does give you solid information that you can take into consideration. Prayers That Break Curses and Spells, and Release Favors and Breakthroughs: 55 Powerful Prophetic Prayers And Declarations for Breaking Curses and Spells and Commanding Favors in Your Life.